More cool games arrive in this week. From designers Paulo Soledade and Nuno Bizarro Sentieiro (Panamax and Madeira) comes Nippon a fast-paced area control, economic game with challenging decisions. 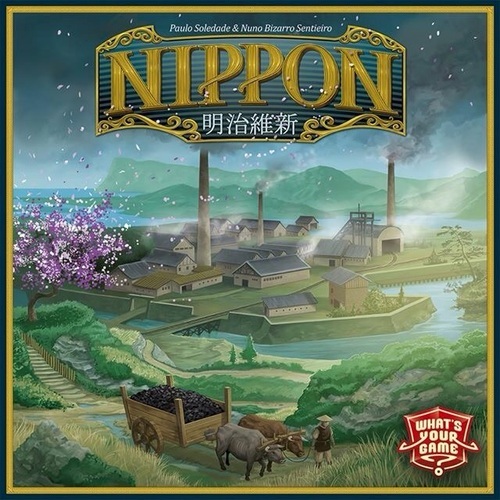 The theme is Japan during the period when the country transitioned from military controlled isolation to a modern westernized industrial economy. 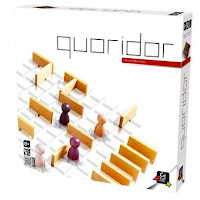 Conglomerates began diversifying their influence and power, and building a complex structure of interconnected companies that would make them giant players in the world's new industrial era. Each player takes the reins of one of these big corporations and tries to develop it in order to grow and achieve power. Onitama is a 2-player quick-playing abstract strategy game that captures the essence of martial arts. Each player will have 1 Master pawn and 4 Student pawns with which to maneuver around the board with the goal of either capturing the opponent's Master pawn (the Way of the Stone) or by having your Master pawn land on the opponent's Temple Arch space (the Way of the Stream). 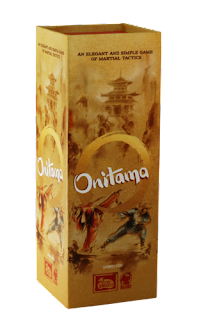 From the 16 available movement cards 5 cards will be drawn at random. 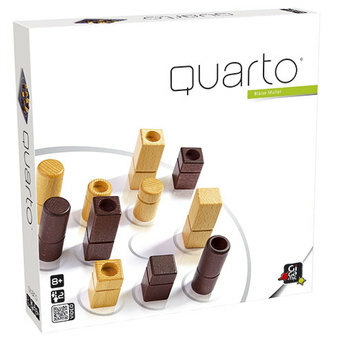 Only these 5 movement cards will be used during the game. 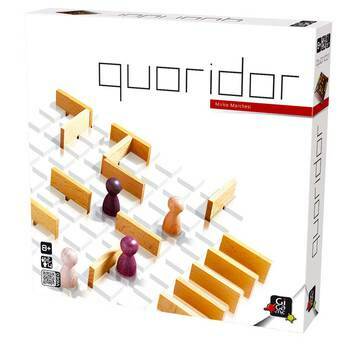 Each card depicts a movement pattern from which a player will use to maneuver around the board. 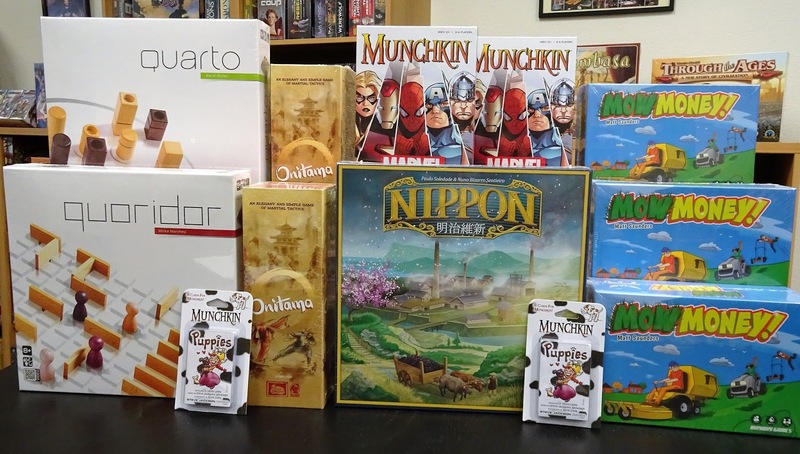 Dice Tower Essentials games line. Mow Money, an auction bid, set collection card game about yes ...mowing lawns! Welcome to Walkerville, a landscaper’s paradise of green grass and lush yards. 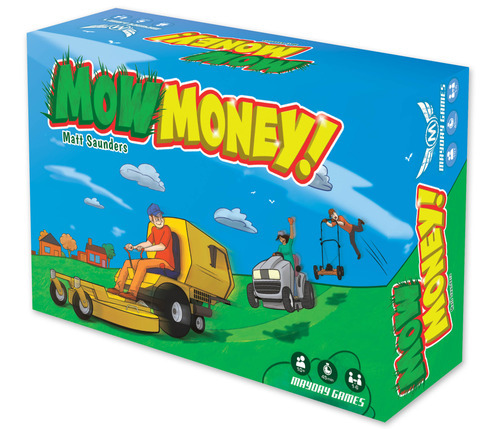 Spring is in the air and it's time to fire up those lawn mowers and make some money. 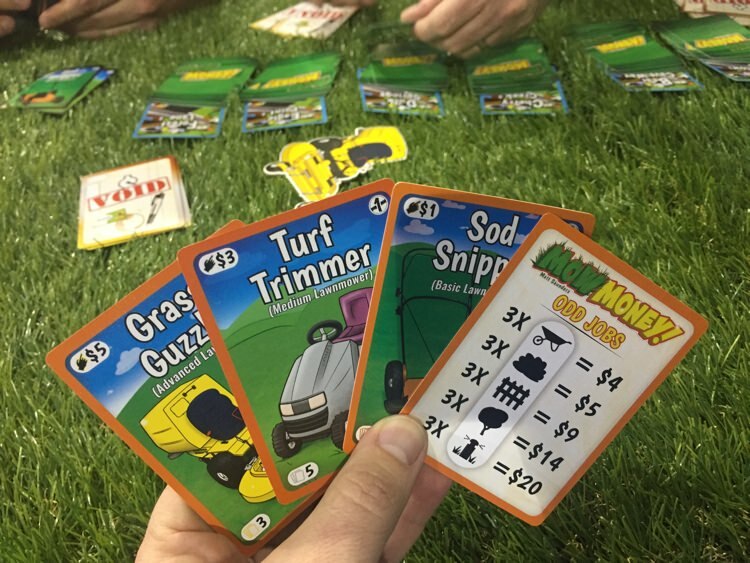 In Mow Money you and up to 5 other start-up landscaping companies will vie to grab up as many contracts as possible in an effort to build your business. Each player starts with a push mower and a dream to win the city contract. You will invest money to buy new Lawnmowers and Bid Cards which are necessary to win Contracts and gain victory points. Munchkin Marvel is the newest edition in Steve Jackson Games popular Munchkin card game series. 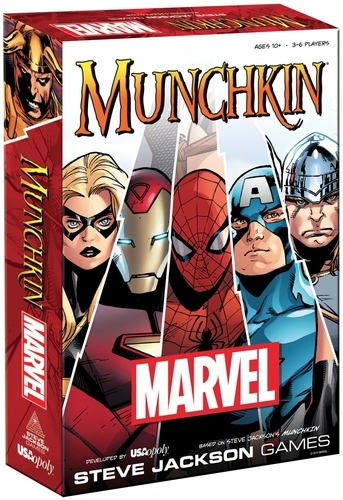 Munchkin Marvel blends the excitement of whacking monsters and grabbing treasures with the iconic characters from the Marvel universe. 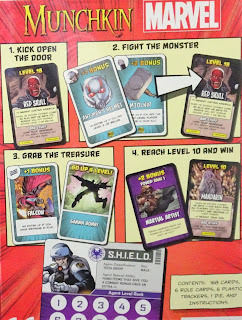 You'll not only have treasure and armor, lots of monsters to slay, but also Allies, Affiliations, Powers, and oversized S.H.I.E.L.D. 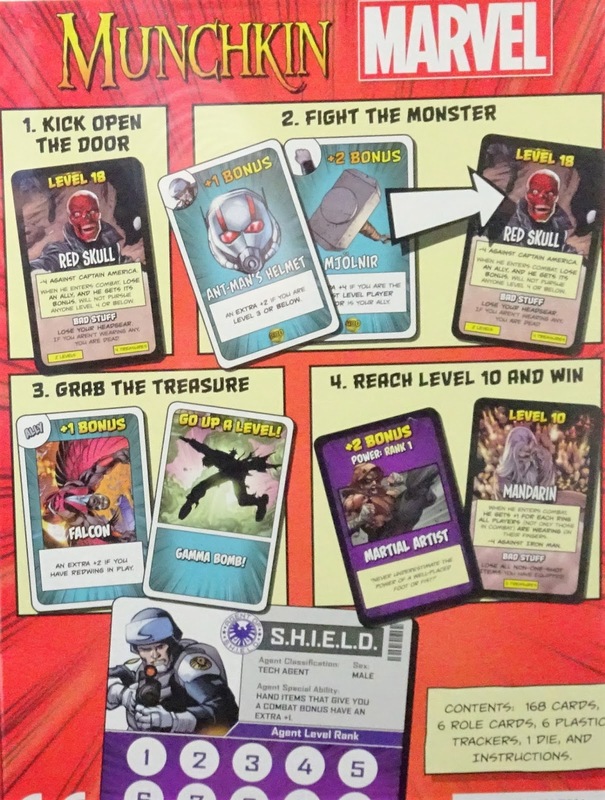 Agent Role cards. Get ready it's going to be an epic Marvel battle! 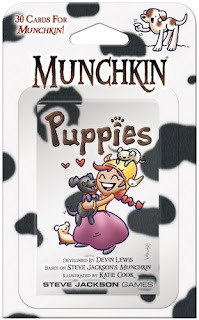 Munchkin Puppies is the latest blister pack expansion for the popular card game, Munchkin. The dogs of war aren't just loose... they're adorable too. Get your chew toys and your armor ready, because their bite if far worse than their bark. Munchkin Puppies contains 30 new cards to teach your old deck new tricks. of the same attribute to win.